A most brilliant mind you will ever find. Made his work what it is. His contoured forms in his work made his own unique artistry. A beautiful soul that was misunderstood. He was divinely inspired to capture life on a canvas. His own life struggles gave him a glimpse of such hidden beauty. The darkness and depression played heavenly on his mind. In these moments, his art and soul did shine. Sadly he took his life in the end. Through his art and beauty he gave so much too so many. Next time you look at Vincent’s art in a Gallery or book. 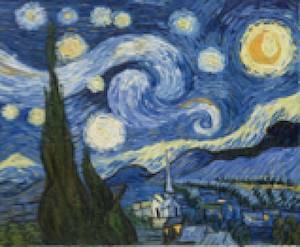 Say thank you Vincent for what you created and what you painted.